Step off the beaten path and head to Parque Nacional Grutas de Cacahuamilpa and Murales de Diego Rivera en la Secretaria de Educacion Publica. Get out of town with these interesting Mexico City side-trips: Jardines de Mexico (in Jojutla), Zona Arqueologica Malinalco (in Malinalco) and Cuernavaca (Archaeological Zone of Xochicalco & Canyoning & Rappelling Tours). 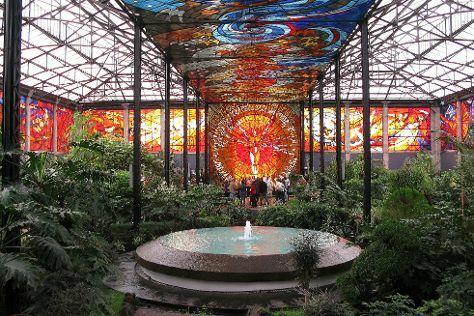 There's much more to do: admire the natural beauty at Cosmovitral Jardin Botanico, delve into the distant past at Zona Arqueologica Teotihuacan, see the interesting displays at Frida Kahlo Museum, and admire the masterpieces at Palacio de Bellas Artes. For photos, ratings, and other tourist information, read Mexico City trip planner . If you are flying in from United States, the closest major airports are Licenciado Benito Juarez International Airport, Querétaro Intercontinental Airport and General Francisco J. Mujica International Airport. Expect a daytime high around 79°F in May, and nighttime lows around 57°F. Finish your sightseeing early on the 12th (Sun) to allow enough time to travel back home.